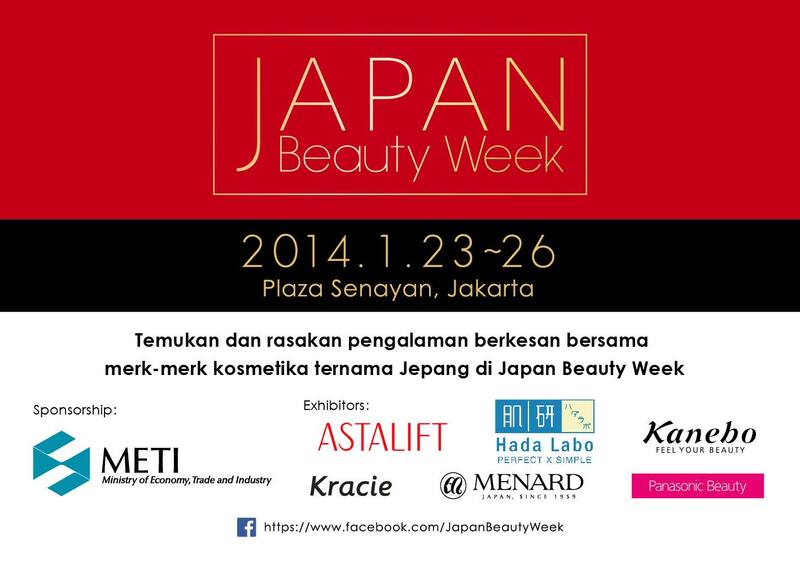 Couple days ago, we were invited and given the honor to be the guest speakers at Japan Beauty Week event that was held by METI (Japanese Ministry of Economy, Trade and Industry) and Japan Cosmetic Industry Association on January 23-26th 2014 at Plaza Senayan, Jakarta. Contrast with the clean setting of the event, the mall was filled with festive decoration to welcome Chinese New Year! They complemented each other beautifully, though. 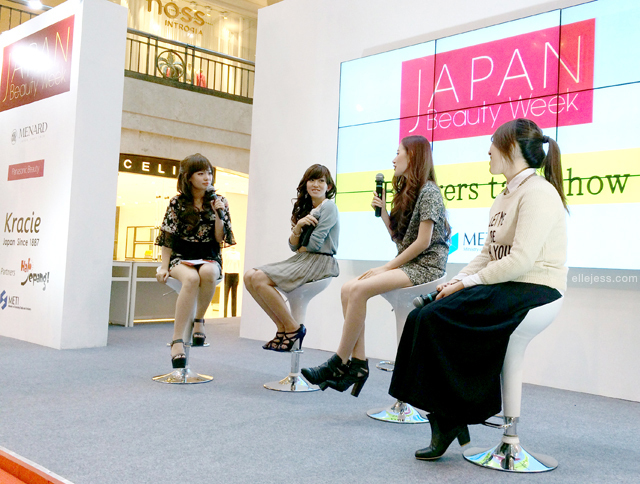 So, what is Japan Beauty Week all about? 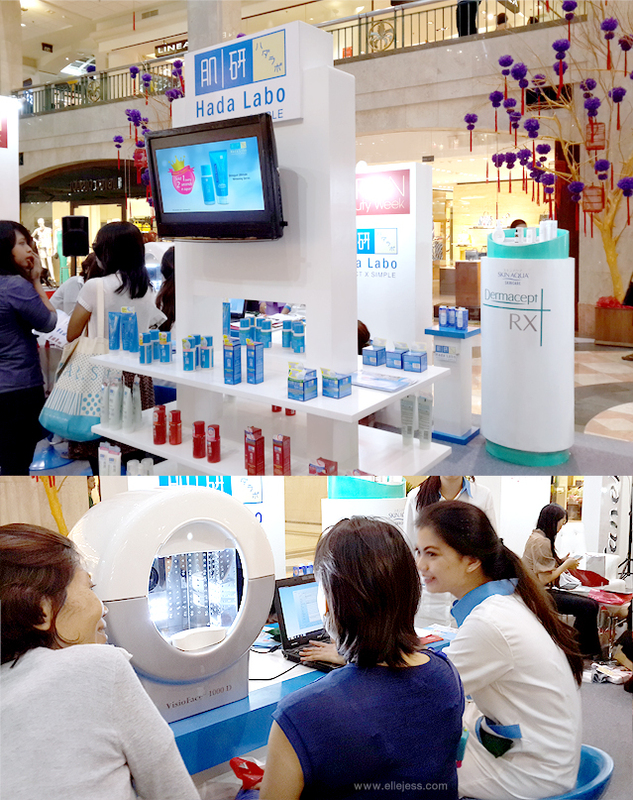 All Beauty Advisors (BA) of each booth were pretty active in greeting the visitors and asking them to step into their booths to enjoy the privileges they’re offering! BBlog booth! 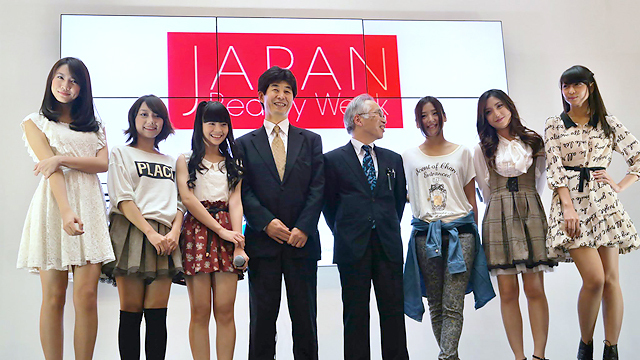 Along with Kawaii Beauty Japan, OLIVE des OLIVE, Million Carats and Halo Jepang! 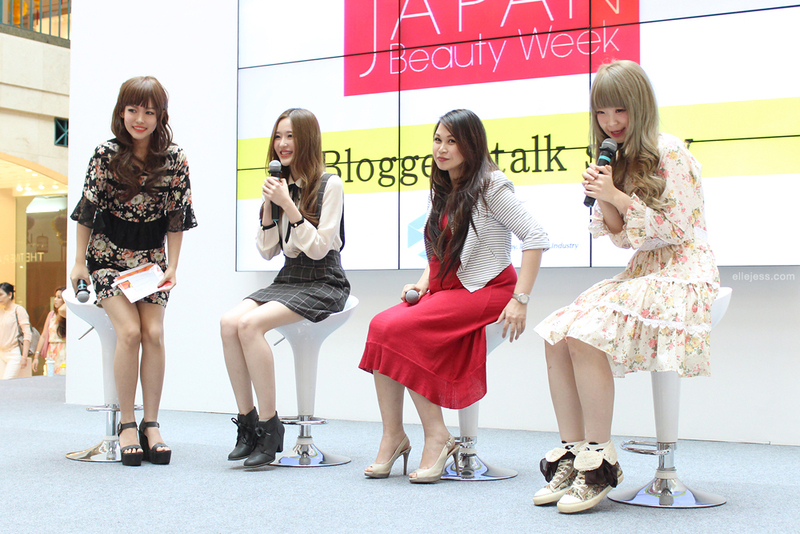 The Beauty Talkshow with Bloggers! Stella (S) : How did you start blogging? What do you blog about? S : Do you like using Facial Mask? If yes, why and how often do you use it? J : Yes, I love it! I’d use it everyday if I could. I love using facial masks because it gives so many benefits to our skin, like hydrating, brightening, anti-aging, etc. S : What’s your skin type? How do you take care of it? J : My skin is sometimes dry and sometimes oily, very moody, eh? I use my day and night skin care religiously, apply facial mask whenever I could or need it, drink my vitamins and supplements every morning, drink a lot of water, eat a lot of fruits and veggies, always apply sunblock during the day, avoid touching my skin, and so on haha. S : I heard that you’re a big fan of Japan. What do you like about it? J : EVERYTHING! I love the culture (my first influences were mangas and animes, of course), the food, fashion, makeup, everything about it! I even feel extremely happy whenever I’m in the minimarket. Sounds a bit sad, but it’s true hahaha. Meiliani is having a baby girl soon! Congrats, cute mum-to-be! L-R: Stella Lee, Mukti Lim, Elle, Vani Sagita <– this particular girl was DAMN FUNNY LAH, click her name to find out how funny she is lol. And it turns out that she’s our customer at GOWIGASA!! Double like her lolol. Stella (S) : Why double cleansing is so important? Elle (E) : Because it can remove all the makeup, dirt, bacteria completely, leaving your skin perfectly clean and minimize the risk of having skin problem like pimples or large pores. S : Do you apply mask frequently? E : I usually apply mask twice a week (sheet ones), but can be three or four times depends on my activities. If I wear heavy makeup for a photoshoot, for example, I will apply mud mask at night before I go to bed. 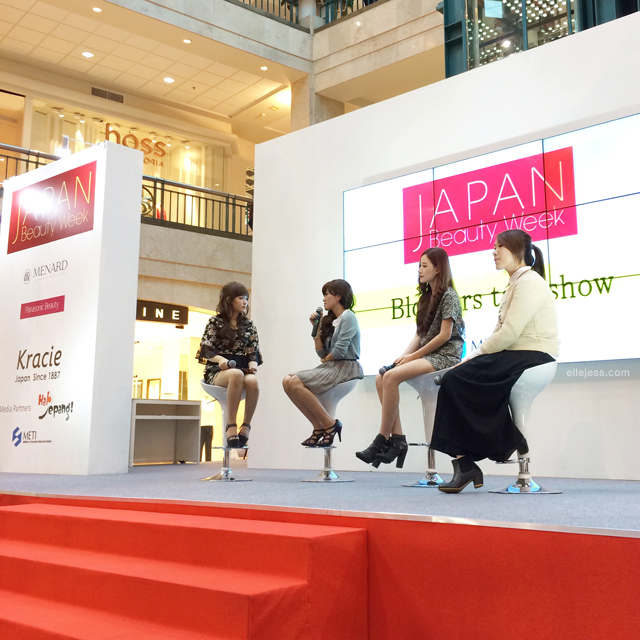 Overall, Japan Beauty Week was an awesome event! There were lots of provided freebies and facilities, yes, *ahem* but mostly because we met lots of nice and enthusiastic like-minded people who care about beauty as much as we do. 😀 Let’s hope there will be more of this kind of event in the near future! so cool! two thumbs for you all guys! Congratulations and love your outfits. Your pictures are really good. Can I ask what camera did you use? wha.. love the event, too bad I can't be there that time. 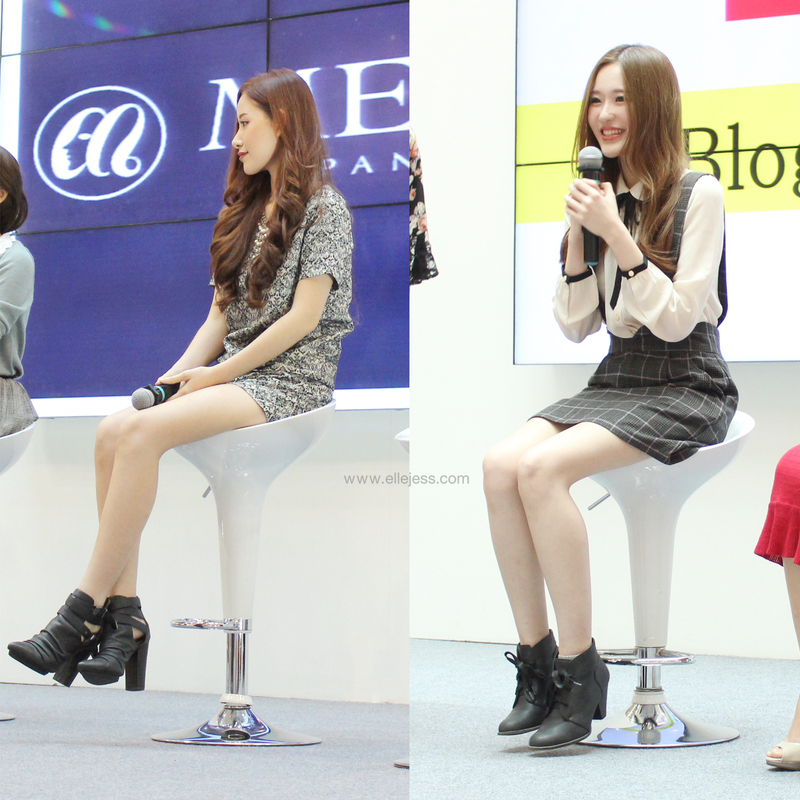 Jess' outfit is so chic and cute! Outbound Rafting Gathering Bandung adalah perusahaan yang berdomisili di Bandung dan bergerak dibidang pelatihan sumber daya manusia terutama di alam terbuka dengan menggunakan alam sebagai medianya serta kami juga Penyedia Jasa/Provider Outbound, untuk kegiatan – kegiatan yang sifatnya menantang dan petualangan ( Adventure ) seperti : Highrope ( Spider Web, Two Line Bridge, Hanging Bridge, Flying Fox ), Rafting Citarik Palayangan Cikandang Bandung ( Palayangan Pangalengan, Cikandang Garut, Citarik Sukabumi), Amazing Race, Paintball, Airsoft Gun, Fun Off Road, ATV, Paralayang, Joyflight With Trike Tandem.